Pruning can be very beneficial for trees and shrubs. Not only can it help to keep your property safe, but it also helps to keep your trees and plants healthy. While trees are beautiful and can immediately transform the beauty and function of any outdoor space, a deceased branch can fall at any time, posing a potential hazard for your friends and family. The best way to prevent tree branches from falling into power lines, on people or into your home, we recommend for you to leave the tree pruning up to the experts. Have you ever seen trees that have a particular shape and wondered how they got that way? Pruning can change a tree’s shape in a way that doesn’t compromise its health or integrity. Pruning can also maintain its shape so there is a lower risk of broken branches and fallen limbs. A tree that is properly pruned and maintained while it is young will not encounter the structural issues that could lead to disaster later on in its life. And if you’re particularly concerned with the aesthetic look of a tree, pruning will help to get it to grow into your desired shape. Pruning is best done in the late fall and winter season. 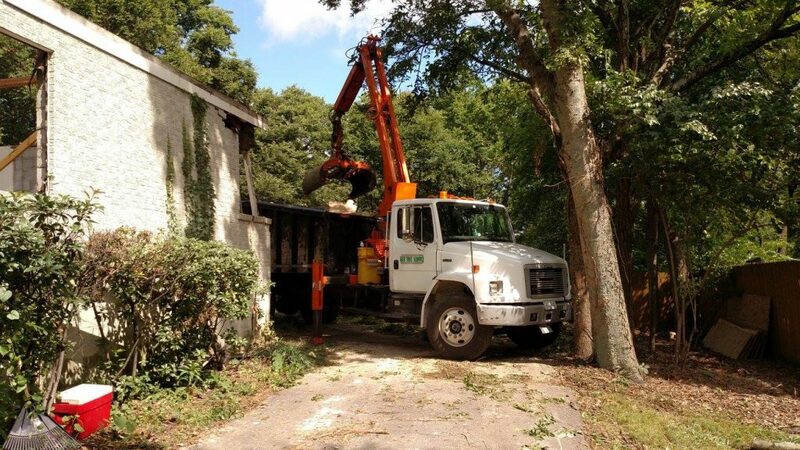 This is the time of year where tree growth is dormant, making it less susceptible to damage. Even though pruning can help to improve a tree’s health and appearance, it is important to remember that it can also cause stress to it. By pruning trees during the cold season, less sap is lost and there is less worry about insects and fungus causing further damage the tree. Each species of tree is different and has different care and pruning requirements. If you are ever in doubt about how to prune or care for the trees on your property, it is best to contact your local arborist or TN tree pruning service instead of compromising yourself or the tree. For more information on tree pruning or to get an estimate for tree or stump removal, Gist Tree Removal Service at (615) 456-9824.